Advocating for better student mental health services through an open letter that has led to improved consultation, communication, and funding. Creation of a long-fought-for Policy against Sexual Violence and new Office for Sexual Violence Response, Support & Education. Launch of an expanded Student Rights website and semesterly “Know Your Rights” campaigns. New research reports on first generation students, students from foster care, Open Educational Resources, and McGill and SSMU governance reform. 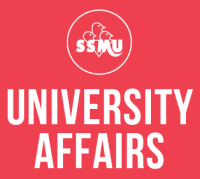 Creation of a new SSMU Policy against Unpaid Internships. Recruitment, training, and support for over 100 undergraduate representatives on more than 50 McGill committees. Hosting the second annual Student Academic Summit for student representatives across campus. Launching this website as a resource for student representation, research, and advocacy! The 2016-2017 University Affairs Final Report will be available shortly. You can read about this year’s team here. 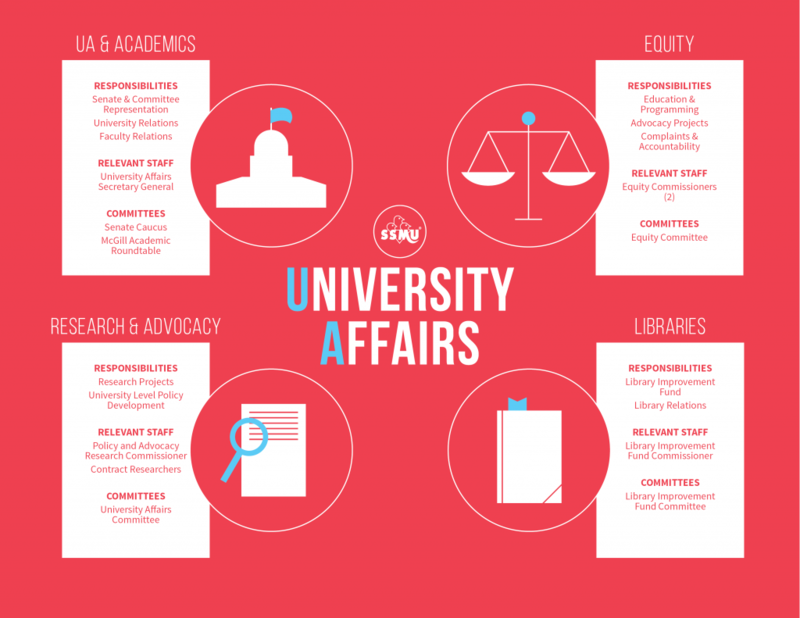 The mandates for all SSMU committees can be found in the Committee Terms of Reference. These mandates can be found in the SSMU Policy & Plan Book. The VP UA also receives general direction from the General Assembly and the Legislative Council. The full lists of decisions from these bodies can be found in the Legislative Council Resolution Book and the General Assembly Resolution Book.